If your organization has thought about participating in the American Health Care Association/National Center for Assisted Living (AHCA/NCAL) National Quality Award Program, this is your opportunity to complete your Bronze application from beginning to end in one day. Did you know that 98.5% of organizations that participated in Care Providers of Minnesota’s previous workshop—and submitted an application—received a Bronze Quality Award? Now is the time for you to be part of this amazing statistic! 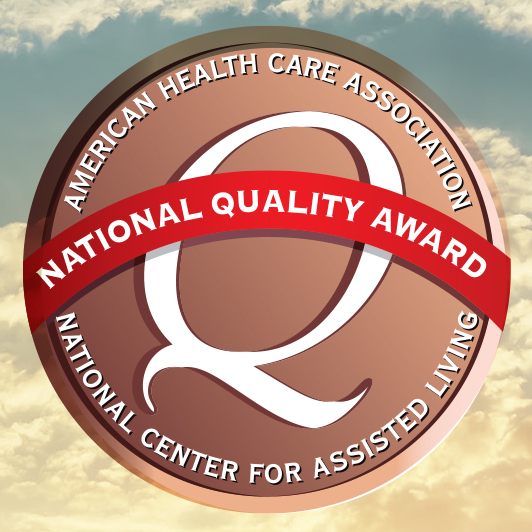 The American Health Care Association/National Center for Assisted Living (AHCA/NCAL) National Quality Award Program provides a pathway for providers of long-term and post-acute care services to journey towards performance excellence. The program is based on the core values and criteria of the Baldrige Performance Excellence Program. The Bronze Award—Commitment to Quality is the first level in your quality journey. The goal of this award is to provide applicants with the tools and resources they need to achieve performance improvement. In this workshop, you will complete a Bronze Award application and learn how to use the AHCA/NCAL Quality Award program to support future Quality Assurance and Performance Improvement (QAPI) requirements (skilled nursing facilities and nursing facilities) and current Quality Management requirements (home care). Care Providers of Minnesota is delighted to once again partner with Paul Grizzell, President and Baldrige Coach of Core Values Partners, to present the Bronze Award Workshop. Paul was the facilitator at our very successful Bronze and Silver workshops in 2016, 2017, and 2018. Watch Paul's short video, where he explains some of the benefits of registering for the workshop and applying for a Bronze Award. Learn more about Paul in the event brochure. Participants will also benefit from qualified AHCA/NCAL Quality Award examiners who will assist with Bronze applications. Become knowledgeable about the AHCA/NCAL Bronze Quality Award process. Understand the technical requirements and policies of the Bronze Quality Award process and what examiners are looking for in applications. Write the draft of your organization’s Bronze Quality Award application. Please review the eligibility requirements in the event brochure to ensure you are eligible to apply. Care Providers of Minnesota has a room block at the Crowne Plaza Bloomington [website | map] for $125 per room, per night. Please reserve your accommodations early and mention Care Providers of Minnesota to receive this rate. Call Crowne Plaza Bloomington at 952-831-8000. Note: Cut-off date for this block is December 26, 2018. The hotel will shuttle guests to and from Minnesota Masonic Heritage Center. For more information about the workshop, including pre-work to complete, what to bring, cancellation policy, accommodations, and more, view the event brochure. COST: $100 per member participant. Registration fees include course materials, CEUs, continental breakfast, lunch, and refreshments. Login required to register. Don't have login information? Request a login or contact Lisa (952-851-2483).